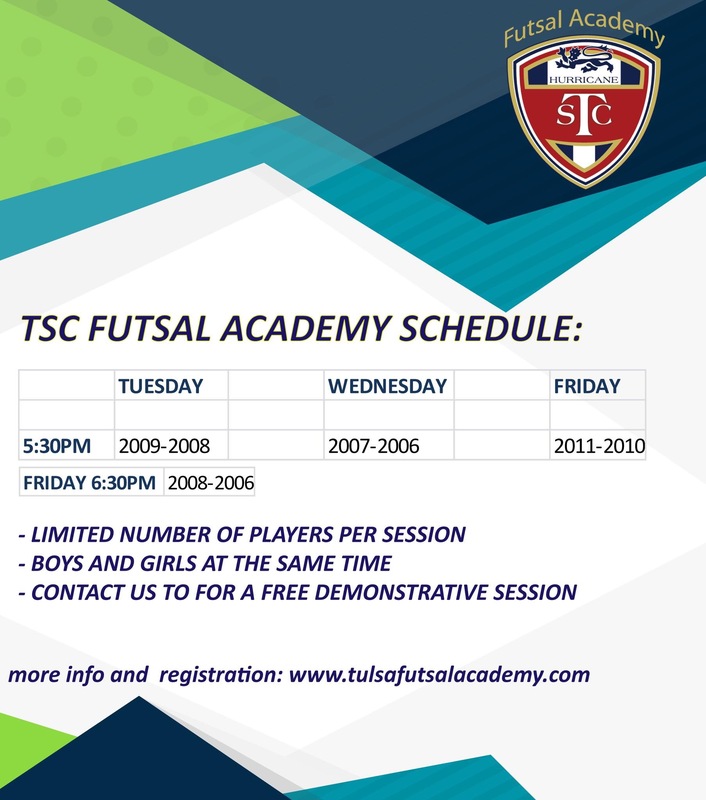 TSC Futsal Academy is a program inside TSC Hurricane that seeks to use futsal as another tool to develop players in our club. It is a great opportunity for players who want to reach the next level, learn and grow with futsal. Players will have opportunity to train and if wanted, compete in specific futsal tournaments. Our program is designed to complement, not compete with, a player’s regular soccer training with their own clubs. Among our team of coaches, our priority is improving the futsal and soccer skills of our players and offering opportunities for intense futsal game-play. High-level technical and tactical futsal training sessions. A focus on technique, tactical awareness and pinpoint passing which demands quick reflexes and fast thinking. A program that seeks player development with specific futsal sessions. Players will learn the difference between futsal and field soccer and how to bring the quickness and control of futsal to the field. Players will be challenged to think and take decisions on their own. With the repetition, the decision process becomes a habit therefore it should be quicker and better. Train with players in your own club, having futsal and soccer coaches on the same page. 1 hour of futsal training per week. Practices will have a fixed schedule, just like outdoor practices. Tulsa Futsal Academy will work with the outdoor coach / schedule and will be fixed for the season. Futsal training is the additional day of training during the week. As soon the outdoor team has a training schedule for the season, the manager/coach with the Futsal staff will device the best day for the futsal training. That should be part of the schedule for the season Fall/ Spring. i.e. A team has outdoor practice Monday and Wednesday. Futsal training can be Any other day of the week, or weekend. Whatever works best for the team.